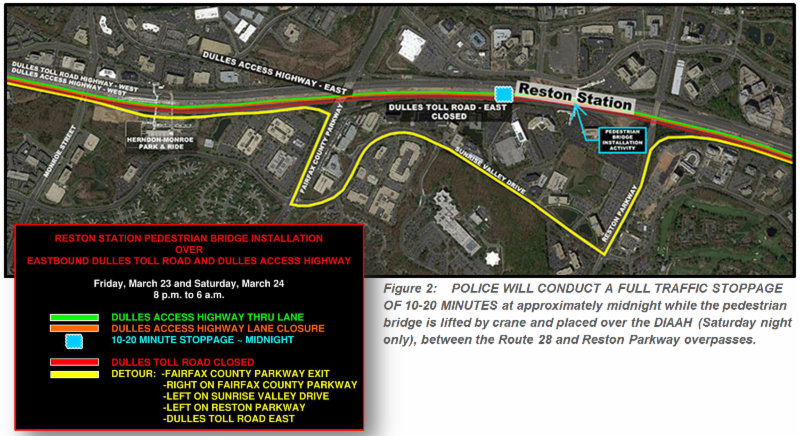 Friday, March 23 and Saturday, March 24, from 10 p.m. to 6 a.m.
On or about Friday, March 23 and Saturday, March 24, from 10 p.m. to 6 a.m. each night, pedestrian bridge spans for the Reston SilverLine Station will be installed over the eastbound Dulles Toll Road (DTR) and the eastbound Dulles International Airport Access Highway (DIAAH). 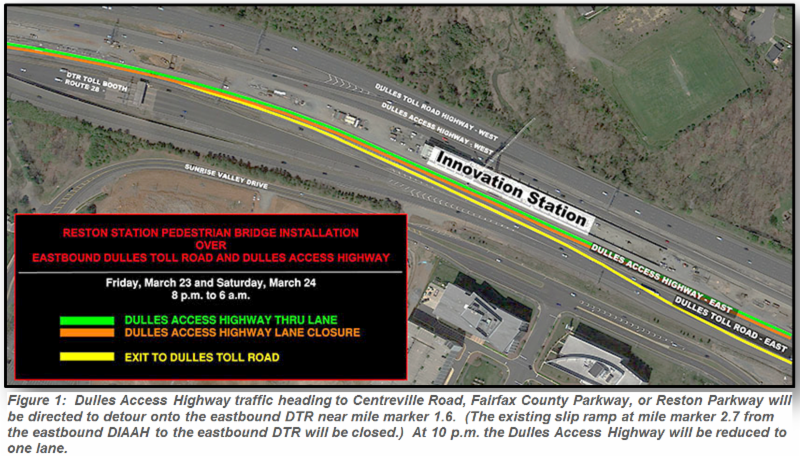 The work will require a full closure of the eastbound DTR and lane closures on the eastbound DIAAH (including a 10-20 minute traffic stoppage on the DIAAH on Saturday night only), between the Route 28 and Reston Parkway overpasses. See details and drawings and details of each night's closures below. Friday, March 23, at 8 p.m. to Saturday, March 24, at 6 a.m.
Saturday, March 24, at 8 p.m. to Sunday, March 25, at 6 a.m.